This year’s rejoicing over the birth of the Christ Child is darkened by the recent murders at Sandy Hook School in Newton, CT. Lest I be accused of being a killjoy by keeping these two events together, let me remind you that Saint Matthew is just as much of a killjoy when he tells the story of the Holy Innocents who were killed in Bethlehem. Christmas has been darkened by human violence from the start. When a tragedy like this strikes, it is only responsible to find ways to prevent it happen again, or at least lower the chances of it. The problem with prevention is our tendency to fall into a blame game. Some of it is absurd, such as blaming homosexuals or the banning of prayer from public schools, never mind the countless attacks on schoolchildren that predated that Supreme Court decision. Then there is the NRA. There is unquestionably a long overdue need to re-examine the ubiquity of firearms in our country but we have to dig deeper. Which gets me to what we need to learn from the baby laid in a manger on a cold winter night. When this child grew up, he became the victim of collective violence in a tense city, the one blamed for that tension. And yet God raised this victim to prove his innocence. When Jesus encountered human problems, he did not blame people, he healed them. Even when he spoke strongly, as he did to the Pharisees, he was trying to heal them. When threatened with violence, Jesus told the disciple who drew a sword to put it back in its scabbard and stay there. The killing of the children at Sandy Hook was violent, but the casting of blame is also violent. Hacking the Internet pages of the Westboro Baptist Church, egregious though its actions are, is only a further escalation of violence. The problem with the blame game, even when there is some truth to the charges, is that it always distracts us from other factors that are at least as important. We all need to look at the logs in our own eyes, at the resentments within ourselves that fuel the violent tensions in our society. The angels appearing to the shepherds sang of peace for all people. Not peace orchestrated by a violent empire, but peace emanating from the human heart that wants to protect not only Jesus from Herod, but all children from all who would hurt them, most of all, ourselves. By taking responsibility for ourselves, we make ourselves responsible to all. Then we can really celebrate Jesus as the Prince of Peace. For quite a few years, I wrote a Christmas story as the Season approached and sent copies to family and friends. 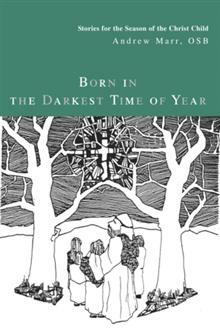 Once the number of stories had grown, I collected the ones I thought were particularly effective and published them in a volume called Born in the Darkest Time of Year: Stories for the Season of the Christ Child.” The Christmas season is offered as a time of hope in the midst of darkness. The hope is fragile, or at least seems so to human eyes. After all, God the Word had been born as a baby needing care from others to survive. Today, Christmas seems to be threatened at times even as Herod threatened the Christ Child. So it is that many of my stories deal with threats to Christmas through human folly, weakness, commercialism, or just plain malice. I know it is early for Christmas but some people will be thinking ahead already to their Christmas shopping. I invite you to read the opening story that I have just posted: Silent Night: How John Beaconsfield Saved Christmas.” John is a devoted chorister traumatized when all Christmas music mysteriously disappears just a few days before Christmas day.